Letters on Yoga–II and Letters on Yoga–III, volumes twenty-nine and thirty of THE COMPLETE WORKS OF SRI AUROBINDO (CWSA), are now also available as independent books. The letters in these volumes have been selected from the large body of letters that Sri Aurobindo wrote to disciples and others between 1927 and 1950, but primarily in the 1930s. Many of them are being published for the first time. In The Complete Works the four volumes of Letters on Yoga incorporate the letters published in the Sri Aurobindo Birth Centenary Library (SABCL) edition, but also contain quite a number of letters that have come to hand in the four decades between the two editions. One source of new material is the correspondences of several disciples which were published as books after the SABCL edition had been issued. Other sources are letters published in Ashram journals and elsewhere since the SABCL edition, letters received by the Ashram upon the passing away of disciples, and previously unpublished letters transcribed from manuscripts or from early typed copies. The present CWSA edition contains about one-third more letters than appear in the SABCL edition. The letters present to the reader a different aspect of Sri Aurobindo than we meet in his more formal writings. Prior to November 1926, Sri Aurobindo met with his disciples daily. After he retired to his room, his external contact with them was mostly limited to exchanges of letters. The letters from Sri Aurobindo to his disciples are personal, direct, simple, often humorous, always encouraging, and full of his compassion and care. They respond individually to specific questions on every conceivable subject or problem facing the sadhak. 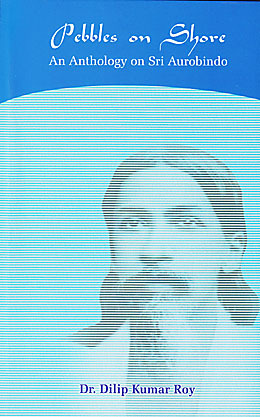 Sri Aurobindo cautioned his disciples that it was not advisable to apply to oneself what he had written for another: “Each sadhak is a case by himself and one cannot always or often take a mental rule and apply it rigidly to all who are practising the Yoga.” Yet there is a core of knowledge that emerges – a common theme on the practice of yoga, the foundation of the sadhana, a set of guiding principles for the path of self-perfection, and an explanation of the psychic and spiritual realisations that form the base of the Integral Yoga – that, if taken in the right spirit, can widen and deepen the understanding of any sincere reader. The other new books introduced in this issue have a diverse appeal: books on philosophy, yoga, health, Auroville architecture, the role of UNESCO in the development of Auroville, and the life of a disciple widely known for his inspired musical compositions. 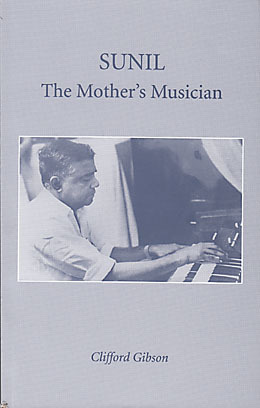 Sunil: The Mother’s Musician is a portrayal of Sunil Bhattacharya recounted through his correspondence, with the Mother regarding his music, and with many friends world-wide who appreciated his music. 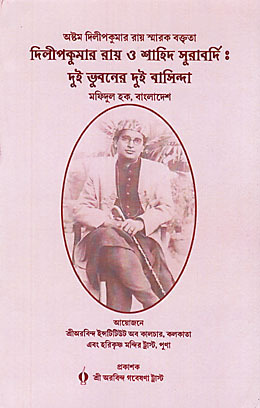 Reminiscences of Sunil by residents of the Ashram and a brief autobiographical account of his childhood years offer added dimensions. 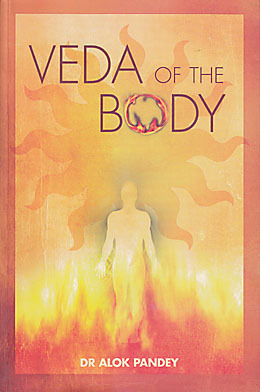 Veda of the Body puts forward a characterisation of the human body and its natural state of health through a consciousness perspective, a view that supports an integral model of health based on harmony at a higher level of consciousness. Interacting with UNESCO during the Mother’s Years is a compilation of extracts from I am with you by Kailas Jhaveri, which relate to her work with UNESCO and other organisations from 1965 to 1972 in support of the material realisation of Auroville. Pebbles on Shore is concerned with the metaphysical underpinnings of Sri Aurobindo’s thought, and Sri Aurobindo’s Integral Yoga looks at both the practice of sadhana in the Integral Yoga and how the Yoga may be applied to some larger global issues. 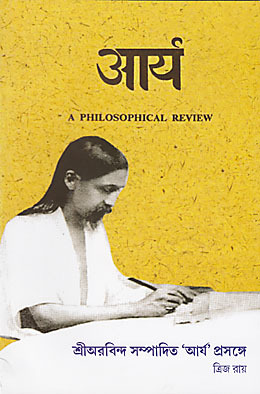 Letters on Yoga—II comprises letters written by Sri Aurobindo on the practice of the Integral Yoga. It is the second of four volumes of Letters on Yoga. The letters in these volumes have been selected from the large body of letters that Sri Aurobindo wrote to disciples and others between 1927 and 1950, but primarily in the 1930s. A considerable number of them are being published for the first time. This second volume is arranged by subject in three parts: the path of the Integral Yoga, the synthetic method of the Integral Yoga, and the Integral Yoga and other spiritual paths. 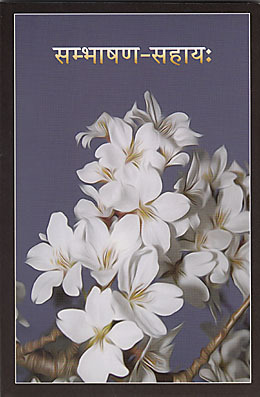 Individual letters deal with many subjects relating to its practice, including the true object of spiritual seeking, the basic requisites of the path, the foundation of the sadhana, the yoga of knowledge, works, devotion, and self-perfection, and the distinction of the Integral Yoga as a yoga of transformation. Letters on Yoga—III comprises letters written by Sri Aurobindo on the experiences and realisations that may occur in the practice of the Integral Yoga. It is the third of four volumes of Letters on Yoga. The letters in these volumes have been selected from the large body of letters that Sri Aurobindo wrote to disciples and others between 1927 and 1950, but primarily in the 1930s. A considerable number of them are being published for the first time. This third volume is arranged by subject in four parts: the place of experiences in the practice of yoga, the opening of the inner senses, experiences of the inner consciousness and the cosmic consciousness, and the fundamental realisations of the Integral Yoga. Individual letters deal with many subjects relating to these themes, including the development of the inner vision, the nature of symbolic visions, becoming aware of the inner being and the witness attitude, the psychic and spiritual realisations, and the meaning of spiritual transformation. This portrait of Sunil Bhattacharya as composer, teacher, sadhak, and friend consists of his correspondence with the Mother on his music, and his exchange of letters, dating from the early 1960s to the late 1990s, with the many friends all over the world who admired his music. Interspersed throughout the story told in these letters are reminiscences by residents of the Ashram that serve to highlight Sunil’s character and talents. In the first few pages of the book, Sunil describes his early childhood in Krishnagar, West Bengal, and his life in Calcutta, where he learned to play the sitar. Looking at the human body and its natural state of health from a spiritual perspective, this is a study that ranges across such diverse aspects as the physical consciousness, the key to educating the body, the seeds and roots of illness, health as a dynamic equilibrium, the mystery of death, various approaches to stress management, and an integral model of health. Drawing inspiration from the vision of the seers of the Vedas and from the teachings of Sri Aurobindo and the Mother, it echoes the sentiment that the spirit within is the true guide to health and healing, and to the conscious evolution of the body as an embodiment of that spirit. The United Nations Educational, Scientific and Cultural Organization (UNESCO) played a role in helping to establish Auroville in the eyes of the world as an experiment in promoting peace and human unity. This is a compilation of extracts from I am with you by Kailas Jhaveri, that relate to her work from 1965 to 1972, under the Mother’s guidance, with UNESCO and other organisations that could assist in the material realisation of Auroville. 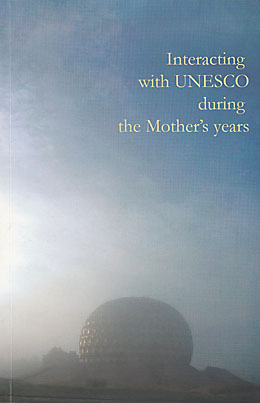 The book also includes facsimiles of the Mother’s handwritten messages to Kailas, images and extracts from The UNESCO Courier of 1972 regarding Auroville, extracts from Sri Aurobindo’s works, resolutions on Auroville passed by the General Assembly of UNESCO, and many photographs of Auroville life, especially in its early years. 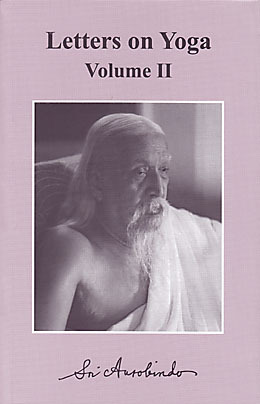 This collection of ten essays on Sri Aurobindo’s thought begins with a chapter on how to approach Sri Aurobindo’s writings through the intellect and by widening the consciousness. 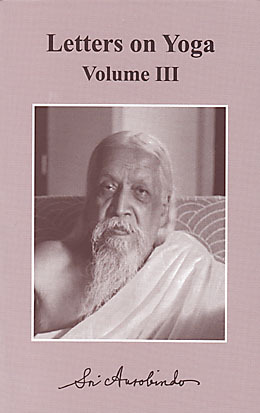 Subsequent essays deal with some important themes in Sri Aurobindo’s metaphysics, including such key subjects as the supermind, the Self, the psychic being, and the principles of the evolutionary process. The problem of evil and suffering in the world and the evolutionary crisis facing modern civilisation are addressed as adjuncts to the metaphysical discussion. The final essay focuses on The Life Divine as a treatise on the evolution of consciousness, leading to the possibility of a divine life on earth for man. Beginning with an overview of Sri Aurobindo’s life and thought, this scholarly work then analyses the metaphysical background of the Integral Yoga, its origins and objectives, its distinctive characteristics, and its synthesis of the inherent truths of traditional systems of yoga. The author then introduces Sri Aurobindo’s method of sadhana, explains its essential requisites, and looks at some of the complexities and difficulties one may experience during sadhana. The final chapter studies the impact of globalisation on human society, religious fundamentalism as a source of conflict, and how the Integral Yoga may offer a possible response to these issues. It concludes with a consideration of how the Integral Yoga can enrich Christian spirituality. 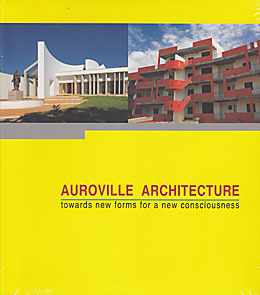 As a photographic and textual chronicle of the architectural approaches taken since Auroville’s founding in 1968, this book outlines the development of the city plan, with its four distinct zones, describes the first experiments in residential housing and public buildings, and addresses design issues and challenges tied to the topography and climate of the region as well as the demands created by its broad cultural and socio-economic diversity. The book highlights the creativity of Auroville’s buildings, the commitment to integrate renewable energy, water management, and other infrastructure needs in its architecture, and recent designs that will serve the urban nature of the city’s future. In the final section, many of the town’s practising architects talk about their work, their inspiration, and their future vision. 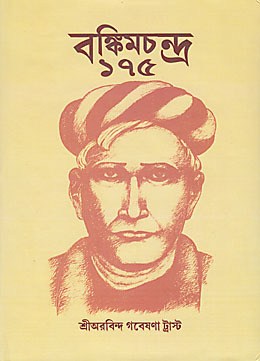 Assamese translation of Ke Ai Ma (Bengali). 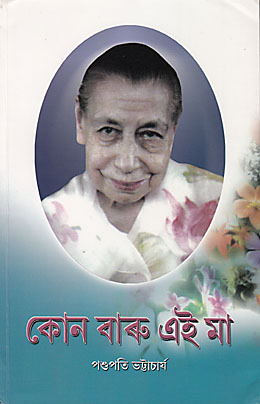 This book is about the life and teaching of the Mother. It traces the growth of the Ashram and the Centre of Education, and the birth of Auroville. The personality of the Mother in its various aspects is effectively portrayed in a simple and intimate manner.